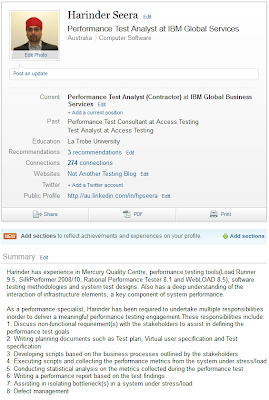 Whenever I get a "Join my network on LinkediIn" message from someone on LinkedIn, I always try to view their profile before accepting it. This is because I just like to know a little bit more about them. 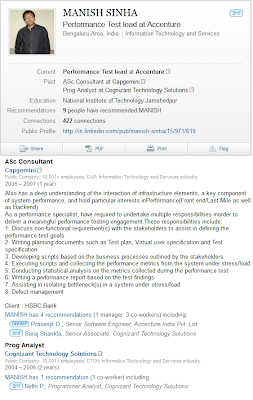 Recently, I received a join message from Manish Sinha(works for Accenture(Bengaluru - India) as a performance test lead) and as always, before accepting it, I viewed his profile and what I found was bit of a surprise. He was plagiarizing someone else experience on his profile as his own and guess what, that was my experience he was plagiarizing. I emailed him couple of times to remove the experience from his profile but so far no luck. Therefore, I thought, I blog about it. 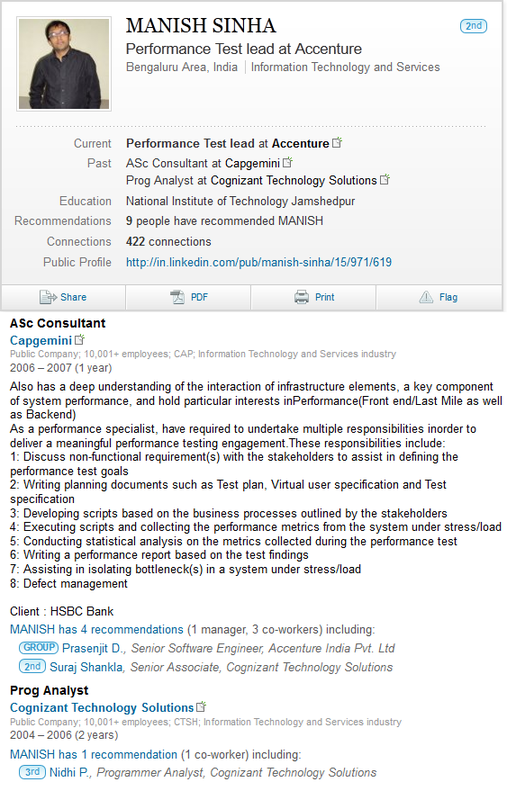 His Experience as ASc Consultant at Capgemini. Can you see the similarity with my experience.